You will be hard pressed to find one single, comprehensive online safety guide when it comes time for safe online shopping. But I will try to be a Cliff’s Notes online safety guide with some safe shopping online tips. I am always asked, is it secure to shop online? Yes, it absolutely is. But, you have to be smart about it. 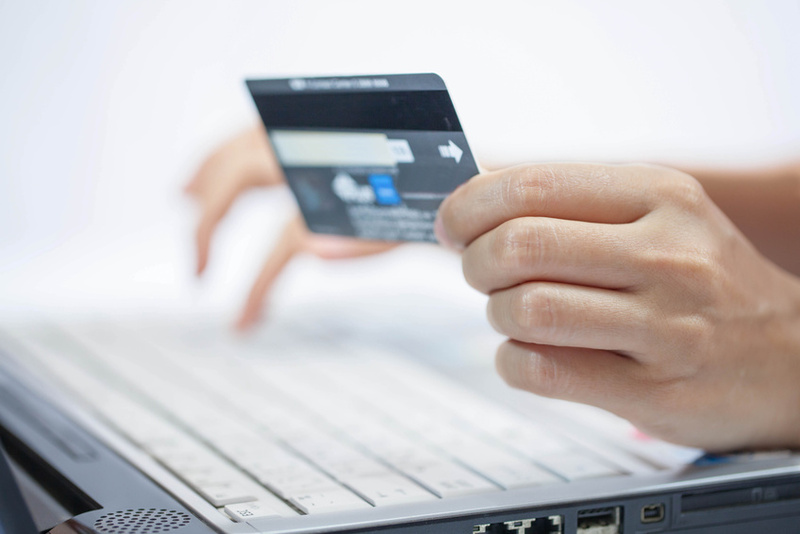 The number one key to secure internet shopping is common sense. Stop and think before you put in any information. The site is the first thing to think about before you buy anything. Is it a big, popular site that everyone knows about? Or does it look similar, but not quite perfect, something seems off. Well, let me just warn you now, you should not be putting your credit information into Narnes and Boble or AmazeOn. Make sure the site is secure and trusted. If you have to purchase something on a lesser known site, do your research first! Look for reviews, see if the site shows up on any untrustworthy retailers sites. There is an application for most web browsers that can tell you how trusted a site actually is, before it even allows access to the page. That way, if a site happens to be malicious, it will sweep you safely away before you ever have the chance to do anything detrimental. It is also not only important, but absolutely necessary, to get at least an anti virus program onto your computer. Frankly, if you do not have one, I am shocked that your computer is still working. But it must be riddled… poor computer. These programs will often times tell you when you are encountering unsafe sites as well, giving you a little more security with a second set of eyes watching where you are going. On top of a regular anti virus, you should have one or more anti malware, anti spyware programs on your computer. These will go completely through your computer and remove anything malicious that may have been installed without your knowledge, including key loggers, which will record all of your key strokes. Yes, even the ones that spell out your credit card number. Just one, simple way they get you. It is absolutely safe to shop online, you just need to be doing it the right way. Make sure your internet and computer are secure. Have safe programs installed that will take care of any threats, both running them to clean the computer, and by actively stopping anything potentially damaging before it even has a chance to do anything. And then just be smart about what you do, where you go, and what information you give out on the internet. End of online safety guide.